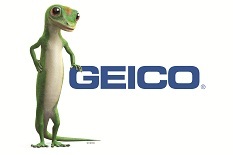 Tau Kappa Epsilon’s partnership with GEICO gives you the benefit of great rates on auto insurance. In addition to your membership discount -- which could shave as much as 8% off GEICO's already low prices -- you'll also receive 24-hour service online or by phone, and efficient & fair claim handling. Plus, every time you complete a quote, GEICO will give back to Tau Kappa Epsilon. Click here or call 1-800-368-2734 to start your free quote today! According to the U.S. Department of Justice, identity theft has officially surpassed drug trafficking as the number one crime in America with a new victim every two seconds. ID360 recognizes the present risk and has developed strategies that mitigate the chances of becoming a victim. Upon enrollment, each member receives an electronic copy of "Identity Lockdown, Your Step-By-Step Guide to Identity Theft Protection." Visit YourID360.com to learn more. Avvo, Tau Kappa Epsilon’s newest partnership, is the one-stop shop for all things legal. Avvo has ratings, reviews, and disciplinary records for lawyers in every state. A free Q&A forum, and fixed-fee legal services. Find the right lawyer and make legal easier. Avvo offers Tau Kappa Epsilon members a 10% discount on all services available through Avvo Legal Services. Tau Kappa Epsilon has recently partnered with ExecSocks to offer a 40% discount to members of Tau Kappa Epsilon. ExecSocks provides sophisticated guys like yourself with a monthly sock subscription to a selection of distinctive, eye-catching socks. As a member of Tau Kappa Epsilon, for just $8 $4.80* a month you get a pair of awesome exclusively designed socks delivered to doorsteps with ease – once a month. Tau Kappa Epsilon has partnered with Enterprise Rent-A-Car and National Car exclusively for Life Loyal Tekes. Learn more at MyTKE.org. A Staples Business Advantage Premium Membership gives your Chapter or Alumni Association access to exclusive discounts and extra perks. It's the perfect way to get the best value on all the supplies and services your organization needs to succeed. TKE Chapters and Alumni Associations will receive 25% off copies and documents in store, 10% off snacks and beverages, 10% off cleaning supplies, 3% off orders over $250, industry-low paper pricing and competitive ink and toner pricing. Additionally, members will receive up to 30% off car rentals at Avis and Budget, 20% off flowers and gifts at FTD, up to 50% off event planning at GoGather, free ink and toner recycling program and free procurement service for hard-to-find items. More perks include 15% off HON Daily On Demand Program which delivers high-quality furniture fast, exclusive monthly deals and special offers, your discounted pricing in Staples retail stores for last-minute purchases and a dedicated Account Management and world-class customer service team. Using Staples Business Advantage is simple. Each chapter, colony and alumni association can create a StaplesAdvantage.com account to access all of the benefits or can use Staples Rewards account number 2005458100 when you go to your local Staples store for printing.